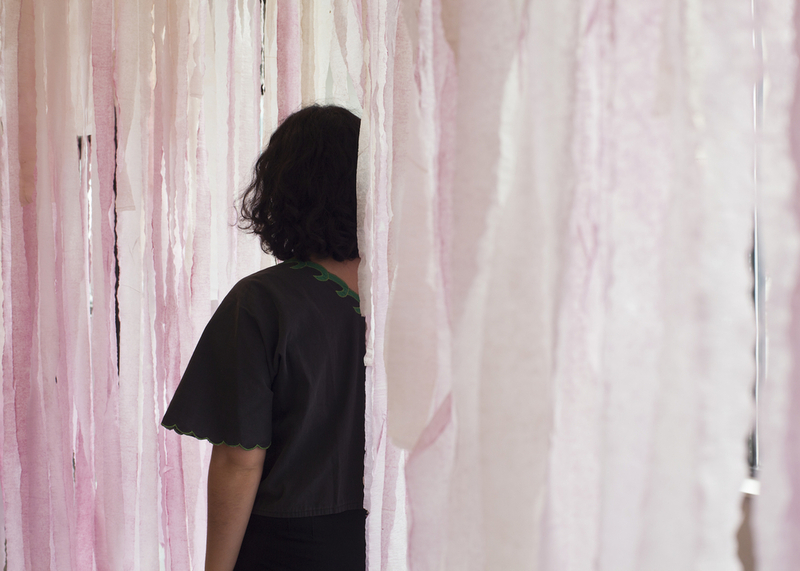 El Norte is a site-specific installation that simulates the shape of the Texas-Mexican borderline. 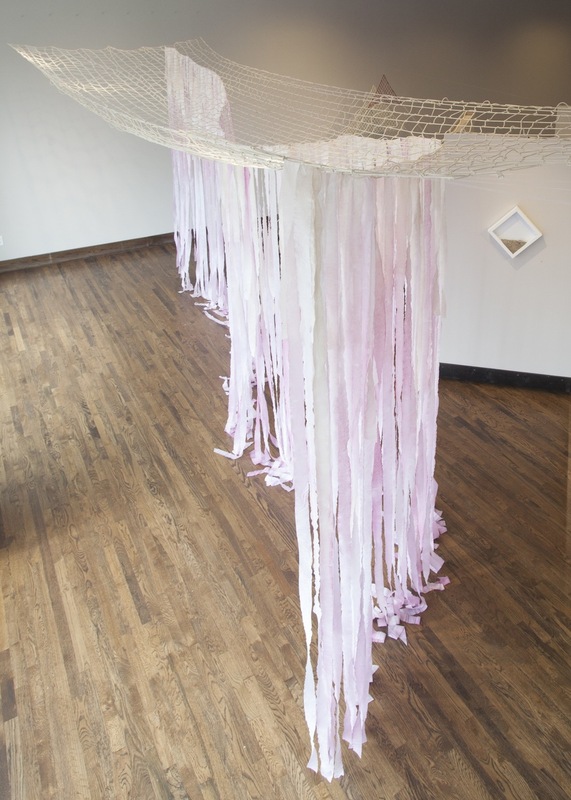 Crepe paper hangs vertically from a net installed in the ceiling and dyed in natural materials that are a part of our Mexican heritage, our Mexican diet, such as: black beans, avocado pits, and hibiscus flowers. The use of the net represents the sky, as it is shared by both countries. This instillation celebrates the action of movement and immigration by inviting the audience to walk through the paper border wall. The net was made in three different spots along the Rio Grande River during our 2014-2015 Border trip.